Good times for the end time! 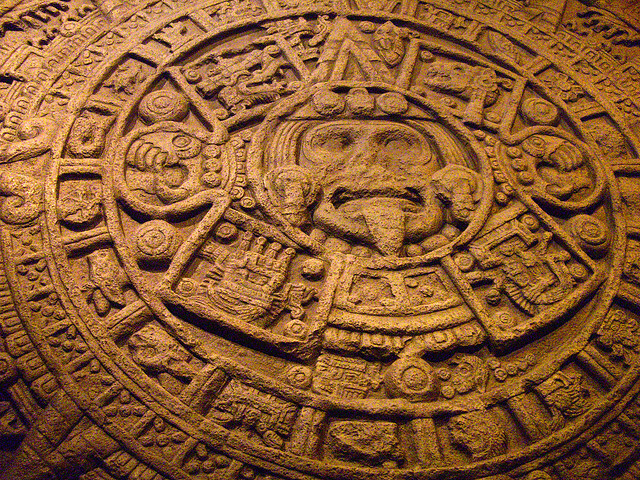 With a winter storm about to put the smackdown on the Chicago region, we’ve probably got better things to worry about than the Mayans and this calendar completion craziness. But if the world were to come to an end at the stroke of midnight tonight - or if we make it to see another day – here&apos;s a pair of damn fine ways to celebrate. 1. Beer! Louis Glunz Brewery has been in business a long time now: One of America&apos;s oldest breweries (and the world&apos;s oldest distributor of Schlitz) will celebrate 125 years in business in 2013. So no wonder its proprietors aren’t shaken by end-of-the-world predictions. In fact they’ll celebrate tonight by rolling out fresh kegs of La Fin du Monde (which translates as The End of the World), a triple-style golden ale from the Quebec brewery Unibroue. The beer is apparently named for early European explorers who upon discovering North America felt they&apos;d come to the end of all things - how&apos;s that for backhand praise? And according to the Unibroue website, La Fin has also won more awards than any other Canadian beer. It is a pioneer of sorts: Long before Americans got wild about craft beer, Unibroue started churning out Belgian-inspired beers with fanciful names (one of my favorites is Maudite, a lovely bit of Quebeçois slang I won&apos;t translate here). Oh, and full disclosure: I have the brewery to thank for many of my college-era hangovers. Fourteen of Chicago’s fine drinking establishments will tap a keg of La Fin at the stroke of midnight. I suggest you raise your glass at Weegee’s Lounge in Chicago’s Logan Square. The bar is owned by Alex Huebner, a School of the Art Institute photography graduate, and is named for the famed New York City photographer Arthur Felig. Felig, who worked under the alias Weegee, was an ambulance chaser of a shutterbug. He made his reputation documenting mayhem: the carnage of fires, murder, automobile wrecks. Some of his photographs are hanging in his namesake bar, so while savoring your brew you can contemplate his lurid-realist view on the world. No doubt they&apos;ll create the correct sensibility and atmosphere for pondering the end. 2. Drums! Hamid Drake and Michael Zerang have been performing their winter solstice concert for 22 years now. Over three mornings, in Link Hall’s relatively sparse but cozy space, Drake and Hamid greet the dawn, the occasional El train rumbling by right outside the second-story window, and whatever lucky group of sleepy residents has managed to both secure a ticket and drag themselves out of bed for the 6 a.m. performances. The winter solstice (which is either December 20th or 21st) is the shortest day, and thus longest night, of the year. Australians are just starting to celebrate the summer vacay, but the North Pole is shrouded in darkness. We are as far from the sun as we’ll be all year, but of course this cusp of a day also marks the moment the sun begins its slow return, like a glimmer of hope as deepest winter settles in. The yin and yang, double-edged sword nature of the solstice is reflected in the Drake-Zerang duo. Drake is a disciplined drummer. Watching him during a recent performance with a jazz trio at the Green Mill, I thought his technique is like the percussive equivalent of circular breathing: He creates a deep, rolling rhythm that seems to have no beginning, no end. At the solstice performances, I always find myself waiting for that moment when he’ll move from performing his hand drum on the floor to settling behind his full drum kit. Zerang is more sprite-like with his instruments, treating the surface of his hand drum and full kit as spaces to be explored and expanded upon, rather than as rigid confines. And did I mention the gongs? Zerang is like a jedi knight of gongs. I can’t stress enough how magical, transcendental and yet grounding this experience is. So in classic end-time fashion, defy the early hour, cold and possible snow drifts and get you there! 22nd Annual Winter Solstice Concerts, Friday through Sunday, Links Hall, 3435 N. Sheffield Ave.